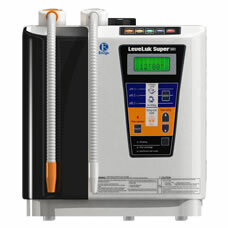 The Super501 is the highest quality water ionizer for heavy home use, featuring a built-in electrolysis enhancer tank and 7 and 5 electrode plates. If you need safe, clean alkaline water to hydrate your growing family or business, the Super501 is the perfect solution! This highly productive machine also generates 5 different types of water for numerous uses around your home or business. With an easy to use LCD screen and clear voice prompts, the Super501 is accessible and simple to operate.